Jim Bradford was born and grew up in Greenwood, South Carolina. He and his wife, Libby, live in York, South Carolina, and have two married daughters and two grandchildren. Jim graduated from the University of South Carolina, both undergraduate and law school, and practiced law in Greenwood and Columbia, South Carolina, before moving his practice to York in 1996. Jim and his brother Charles were partners in a law firm in York before Jim opened his own office in 2010. 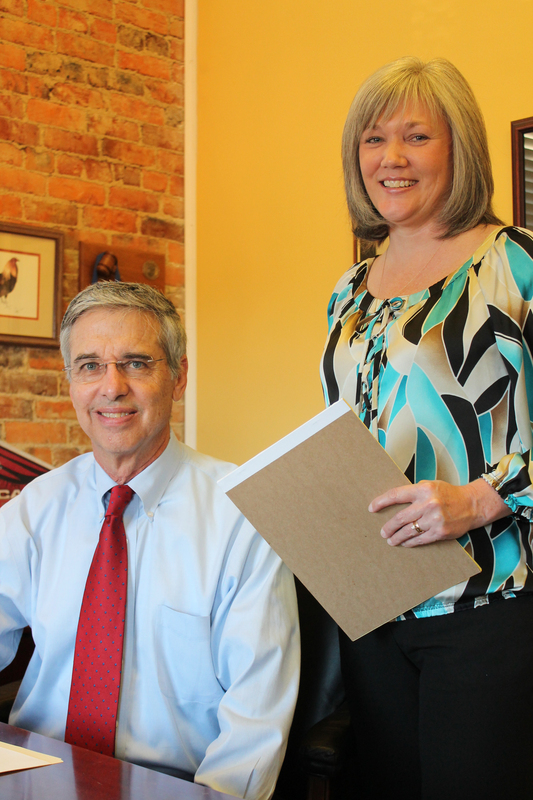 Jim has over 35 years of experience handling personal injury litigation, business litigation and general office practice including business law, drafting of Wills and other estate planning documents, probate administration, and traffic tickets. Jim has been active in community affairs having served as a member and as Chair of the York County Economic Development Board, as a member and President of the Palmetto Trust for Historic Preservation, and as a member and President of Greater York Chamber of Commerce. Jim and his wife are active members of the Episcopal Church of the Good Shepherd in York. Kim Auten was born in Rock Hill and grew up in Sharon, South Carolina, and graduated from York Comprehensive High School and King’s College. She and her husband Steve live in Rock Hill, South Carolina, and have two grown children. 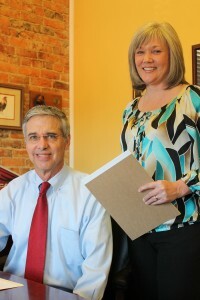 Kim has over 15 years experience as a legal secretary and paralegal. She handles day to day client contact and scheduling of appointments and court appearances and assists with all litigation and other matters which the firm handles. Kim has been closely involved in her children’s secondary education at Westminster Catawba Christian School and she and her family are active members of Eastview Baptist Church, having participated in home and foreign mission trips.